The facts are simple – we either go green or we put our future sons and daughters in a position that will be extremely difficult. In actuality going green is not that hard. All it takes is a little thought and a few minor habit changes. Conserve energy. Who wouldn’t like to cut down on those energy bills? Allow us to show you how. Conserve resources. 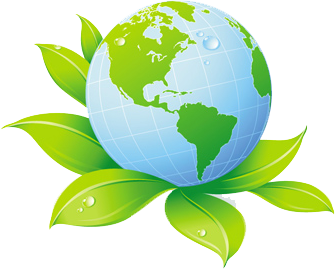 Recycling is a great way to conserve out Earth’s resources which allow out posterity to have access to them. All it takes is another bin on your curb for garbage day. Make smart, green purchases. Making these good purchases not only save our Earth but also hurt the non-green thinker’s pocket books. le Building a green home is a huge step in a healthy direction. If you’re considering this option for your family then Live Well Custom Homes wants to help you reach this goal. We are committed to providing you with the materials you need to make sure your new custom home is green and eco-friendly. Why Buy A New Construction Home Built Green? What does a high performance green home mean for our homeowners? Your High Performance Green Home can help save your family 17 percent or more on utility costs*! For example, for a family with a $500 per month electric bill, the savings could be more than $7,000 over seven years. A 10 percent reduction in a $200 monthly water bill could add another $1,600 in savings over the same period. Over a thirty-year period, these savings could amount to more than $30,000 in utility bills and $2,700 in water bills. Here is some more information you may find interesting. Learn what Live Well Custom Homes can help you with.